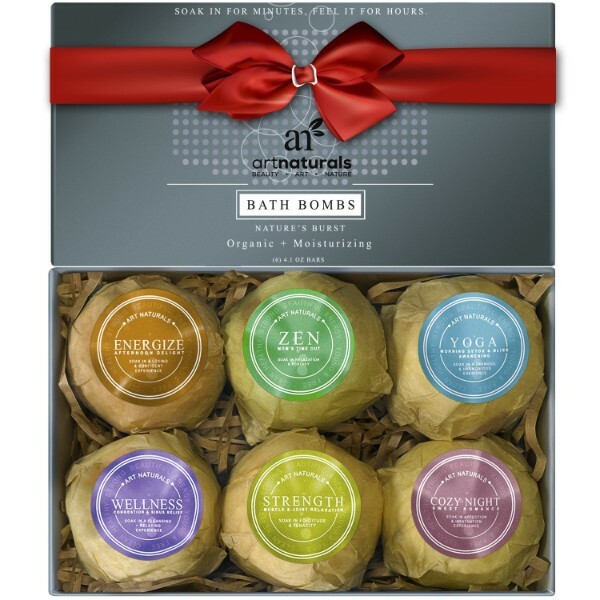 ArtNaturals offers this amazing Bath Bombs Gift Set. It contains six bath bombs that have unique colors and scents. These bath bombs are made from purely natural ingredients that help bring therapeutic effects for the body. 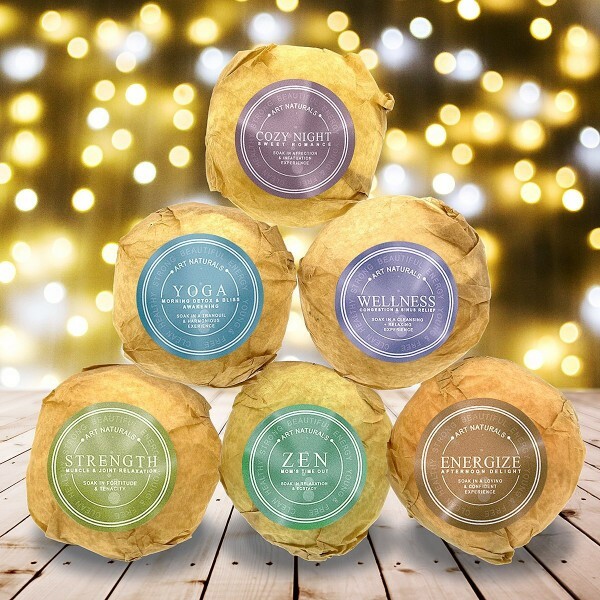 This gift set features soothing fragrances that can relax the body and mind. 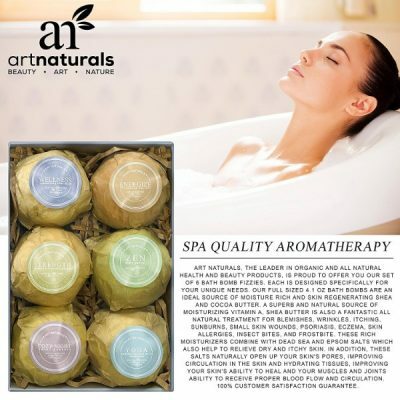 ArtNaturals Bath Bombs Gift Set is made out of organic ingredients that are good for the skin. It contains shea and cocoa butters that are highly hydrating for the skin. 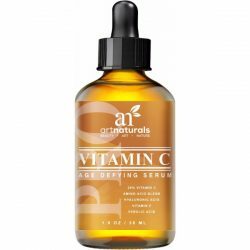 They contain high levels of vitamin A, which is good for treating skin conditions such as wrinkles, irritation, allergies, and sunburn. 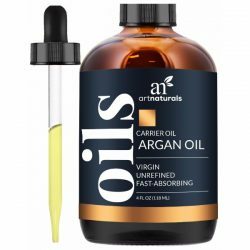 There’s also vitamin E, which is a potent antioxidant that improves skin tone and volume. These nutrients are important for the health of the skin. There are also essential oils that provide extra nourishment. 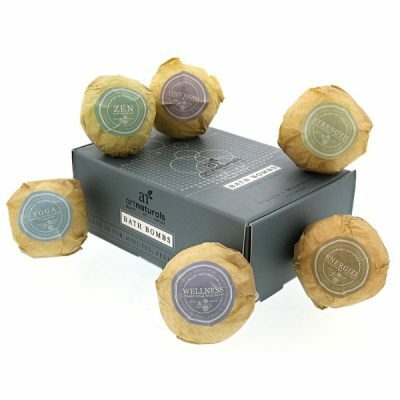 With a lot of antioxidants, these bath bombs help protect the skin from early aging. They also improve the characteristics of the skin starting from its radiance and texture. The sunflower seed oil is another ingredient that provides moisture for the skin. It cleanses the skin while protecting it from dryness. A bath bomb is easy to use and gives a better bath experience. There are a lot of benefits for skin health too. By using high-quality organic ingredients, its effects are more effective and safer. These bath bombs are perfect for relaxation since their scents are appealing and soothing for the mind. ArtNaturals Bath Bombs Gift Set is perfect for the whole family. They could be used by adults and kids without any risks. Users report feeling great and having softer skin. The cleansing properties of the bath bombs remove any impurities from the skin while a lot of ingredients replenish the moisture. Choose from the selection of scents and colors to make baths more fun. 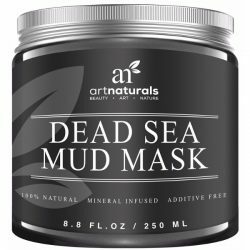 Makes use of natural and organic ingredients such as mineral salts and natural butters. Helps skin recover from dryness. 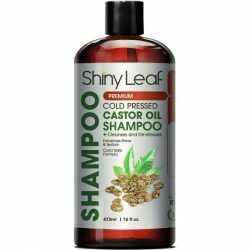 With 100% natural formulas that do not contain parabens. Can be used by adults and kids in baths. These bath bombs have therapeutic effects for muscles and joints. Infused with essential oils that add more nourishment. Contains six bath bombs with different colors and scents. Brings soothing effects to the skin and body. Helps the body and mind relax. Cleanses and detoxes skin effectively. Formulas help heal and nourish the body. For external use only. For best results, use as indicated. Draw warm water in the tub and wait until half full. Pick one bath bomb and put in the warm water. Let the bath bomb dissolve completely and enjoy the moisturizing effects it has for your skin. Lather the foam on the skin to help detoxify and cleanse it. It may leave residues on the tub so make sure to wash it away after draining the water. It makes for a great aromatherapy session.